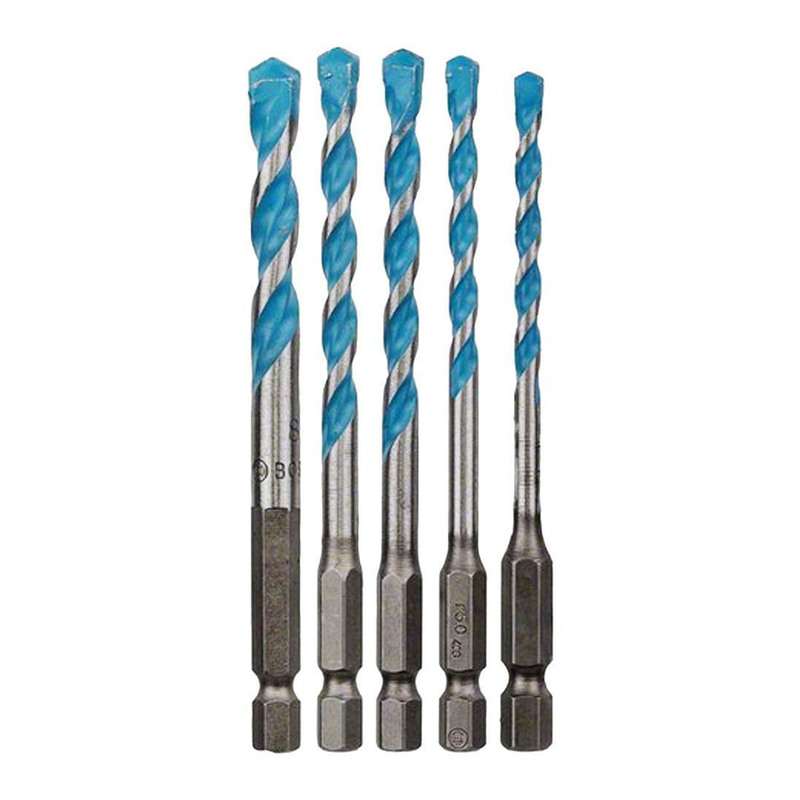 HEX-9 MultiConstruction Drill Bit delivers durability when drilling almost all types of materials. Bosch's carbide blend and its diamond-ground cutting edges make the bit wear-resistant, while the 2-flute U-shape offers good dust removal and standard lifetime, the carbide tip provides an easy start and good drilling control. Intended for practically all materials in interior fitting work, e.g. concrete, masonry, brick, cement asbestos, light building materials, multilayer materials, ceramics and tiles, wood, plastic, thin sheet metals and aluminium. 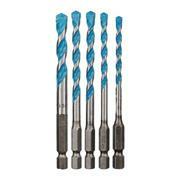 It has a 1/4" hex shank for use with standard cordless drills and impact drives with 1/4" toolholder.